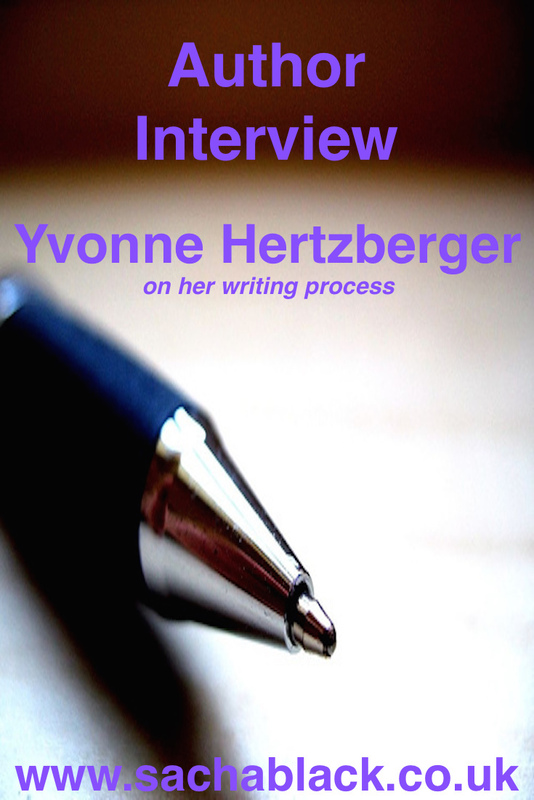 Please welcome Yvonne Hertzberger to this weeks Author Interview. 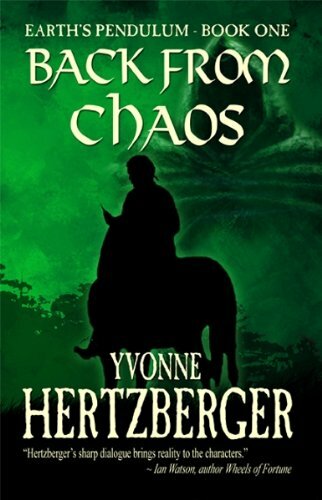 You can find Yvonne on: Facebook, Twitter, Smashwords, Amazon Author Page, Amazon.com, Amazon.co.uk, goodreads and on her website. I am about half-way with another Fantasy/Magic Realism novel. This one, as yet untitled, actually came to me in a dream – or the core idea did. I usually don’t remember my dreams, so when this one was still so vivid in my mind I wrote it down and built the story around it. This one will be a stand-alone novel, different from my previous trilogy. Haha. That’s always an interesting question. In my trilogy they came to me as their turn to be seen in the story came. They appeared when I needed them. I thought I was crazy to think that characters have minds of their own and often dictate how they will be written until I heard from other authors that this happens all the time. Now it feels normal to have them show themselves to me and let me know where they want to go and who they are. In my current WIP two main characters were there in the dream and I let them grow in the story. The others were added as needed, with the exception of a third one. He was in the dream but poorly outlined, so he has more room to set his own personality. I never write down what I think a character ought to be like. I do think about them and converse with them in my mind, or picture them in various predicaments to see how they act or react. Essentially they show themselves to me and emerge and grow as the story requires. So, I suppose they do, “brew in my subconscious” as you said. When I began I was a true pantser. I didn’t even know I was writing a trilogy until a few chapters into the first book. I thought I was writing a short story. It quickly became apparent that there was more to tell than a short story could encompass and not much longer before I knew I had three books in my head. What I did have, however, were a beginning, an ending and a few major plot points for each book. These didn’t change and my characters did not fight me over them. Each book, though, seemed to have a more certain path than the previous one. With the current one I found myself planning more. Perhaps this is because I am still attached to that dream so certain things have to happen. Pehaps it’s part of my writer’s learning curve. Even so, I don’t write anything down. I write off the top of my head and go back and edit later. My technique has remained mostly unchanged, but as I said, I do plan just a tad more. I have always been fascinated by people, how they think, react, emote. The same goes for what I look for in what I read. I am an incorrigible people watcher. Many of my ideas come from that. Others, especially ideas about how to build a good story, come from all the reading I’ve done over my life. I didn’t come to writing until late (age 57) so have had many years to read and to decide what I want in a good tale. Conversations, no matter how casual, are a source, as well. My spouse and I live in a tiny house. In spite of that we managed to have our work spaces at opposite ends with two doors in between so we don’t bother each other. He likes music. I need silence. So I sit with my back to the window in a space I’ve set up as an office, with a desk, bookshelf and my PC. I love it because I can see the rest of the house, (except hubbies space) and get up for a coffee or a snack in between writing. This gives me time to think that isn’t in front of the keyboard. Somehow moving my body even a little often loosens my creativity as well. Oh, I’ve learned so much since I began. But the biggest lesson was that “less is more”. In the re-write/edit of my first novel I cut 30 % of the word count. Now, with the editing as I go, I find I cut very little. It hurt to lose all those “darlings” but they slowed the story down. So that was a big lesson. The other one for me was not to “talk down to my reader”, in other words not to over describe or over explain. If it is obvious from the context leave it out. This is part of the “show, don’t tell” rule we hear so much about. It’s one I still have to be very conscious of. If you can show, by and action or by dialogue, then don’t tell it as narrative – or at least don’t overdo it. All rules are meant to be examined with a grain of salt. Know them, learn them – and then break them with awareness and intent where the writing calls for it. Oooooh, is this where I get to rant? Traditional publishing is struggling, mainly because it has not embraced change. They took their time jumping on the digital wagon. They became arrogant about telling authors how to make their books fit into their current boxes. They took too much control over the creative process away from their writer, dictating covers, titles, and what changes to make in the story so it would “sell”. Writers became increasingly discouraged with having their creativity curbed and their books dumbed down. A revolution began that has grown steadily. Authors began to publish their own books. Many of them are really good – better, in my opinion, than what mainstream publishing is offering. Yes, many still need better editing, covers, etc. But even that is improving greatly as the message gets out. And those that don’t heed that message are getting left behind, where they belong. Digital technology is assisting this process. The “gadgets” offer more opportunities for both writers and readers. I don’t believe that people are reading less. The gadgets are making it possible to read more. We don’t sit at home curled up in an armchair as much as we used to, because we are so mobile. But the gadgets such as e-readers and i-pads make it possible to carry many books with us as we move from place to place. Audi-books allow people to enjoy books as they drive to and from their work. We are not reading less; we are reading differently. That said, I do not think that paper books will go out of style. Even those with e-readers still say they love the feel of a “real” book and love to curl up in that chair with one when they can. There is room for all of it. I think the success of this book does writers and readers everywhere a disservice. It gives ammunition to those who say publishing is going to the dogs and, because it was originally self-published, devalues self-publishing. That a trad publisher picked it up speaks to my earlier comment about only publishing “what sells”. They no longer care about literature, or writing, only about the lowest common denominator. That’s why many of the “best” books cannot be found on their shelves and have to be sought out among self-published titles. Oh my, that’s a tough one. How many can I save? I’d begin with the world’s most important scientific, religious(all religions) and arts books. Many of the classics would come next, including ones that speak to social issues, eg. Les Miserables, Oliver, etc. Next would be the world’s history books, so we may hope to avoid the mistakes of the past. It boils down to saving the wisdom of the world as concisely as possible. Knowledge is power – and in such a situation it needs to be maintained at all costs. When I realized I had a book and not a short story I did some research on getting published. What I learned told me that my chance of being taken on by a trad publisher was less than that of winning a major lottery. So I looked on-line for other options. Even though I was careful, and thought I had done my homework I was pulled into the mad, mad world of vanity publishing. I ended up with iUniverse (a subsidiary of Author Solutions). I lost about $5000.00 when all was said and done. 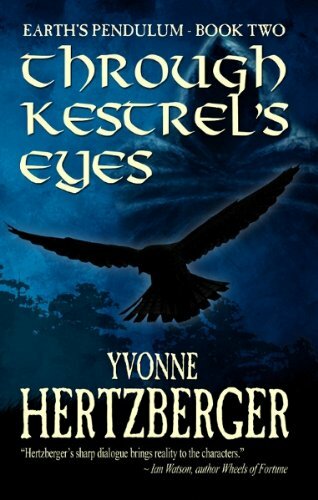 I took my rights back and, after a new cover, a re-write and re-edit, self-published. My second and third book are self-published as well. All three are available in paper and e-books. Learn the rules – then allow yourself to break them with awareness and intent so that you remain true to your unique voice. Rules are guidelines – not laws. 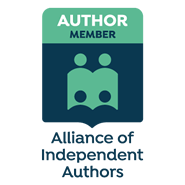 If you decide to self-publish, (something I recommend), do a LOT of research; join groups that will help you avoid the traps vanity publishers set. They breed like rabbits and are all too eager to take advantage of new authors. I do not have much personal experience with fan fiction and so don’t feel qualified to say much about it. One advantage that I can see is that it gets people writing. So that can’t be bad, right? I think it can be done well and certainly keeps fans engaged. I love to sing and belong to a really top-notch concert choir. I also garden, am a master knitter who has made my own sweater patterns, and have done various needlecraft projects. I also have made doll house miniatures. I don’t think any other occupation would keep me this involved. I really didn’t know how much I would get out of writing until I began that first book at age 57. Until then I had to earn a living and had no time. Retirememnt from paid work freed me to discover this passion. Before I discovered Indie authors I loved Fantasy writers such as Robin Hobb and Juliet Marillier for their ability to weave wonderful stories with characters that grabbed me and held me. I loved Victor Hugo’s Les Miserables because he understood and exposed the social ills of his time in a way that made me care about his characters and the trials they suffered. Now, when I find time to read, I stick to some wonderful indie authors like Laurie Boris, Karen Wilde, J.D. Mader and Lynne Cantwell – all of whom write very different books. Yet they all have such a flair for words and give such life and honesty to their characters that I find them truly readable. Yvonne Hertzberger lives in Stratford, Ontario with her spouse, Mark. 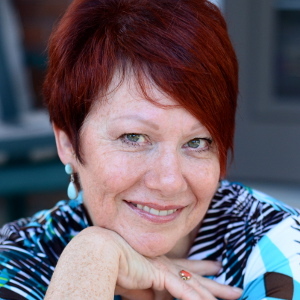 She calls herself a late bloomer as she began writing at the ripe age of 57. Her Fantasy/ Magic Realism trilogy, “Earth’s Pendulum” has been well received. She is working on a new novel unrelated to the trilogy. Hertzberger is a contributing member of Indies Unlimited. So pleased to hear Yvonne was a late bloomer – there’s hope for me yet! Thanks so much for reblogging this Georgina, really appreciate it. Excellent interview Sacha, your questions drew out some interesting answers. Yes, the questions were thought provoking. Thanks Marje, glad you like them. Not sure what I am going to do in November when they run out – will have to create a new one! Thank you Charles 😀 as always it is greatly appreciated. 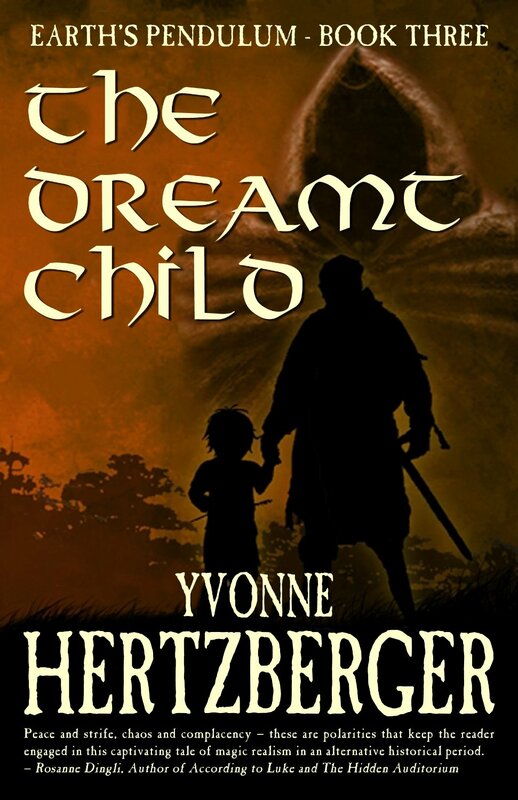 Sacha Black interviews Yvonne Hertzberger fantasy author with Earth’s Pendulum Book Three – The Dreamt Child. Just about, thanks Sally 🙂 was a pesky tooth! Oh I know that problem started off with 32 of them and had to evict a few along the way.. one day they will all be plastic and much better behaved!! Sacha, than you so much for this opportunity. The questions were creative and thought provoking. It was a fun Interview to do. Just added this series to my list of must reads…. I love series and this looks really good…. lol. Isn’t it interesting how diverse our processes are. Thanks for dropping by. Great interview! I was particularly interested to learn you make dolls house miniatures. Back when my daughter was little I started making dolls houses for her and fell in love with the process. It’s a lot of fun. Thnks. I miss it now that I no longer have the space to devote to it. It is fun. I made some pretty accurate ones. Great interview and terrific questions. The burning library one was a hard one though, :). Glad you dropped by, Dale. I know! I am so glad I don’t have to answer that question myself! Thanks for reading. Great interview. enjoyed reading it. Keep going. Lovely interview, Sacha and Yvonne. Interesting that self-publishing is the preferred path. I also like the view of rules as guidelines, meant to be broken, but dependent upon one’s own voice. Wonderful interview, Sacha. I especially enjoyed Yvonne’s rant, as her thoughts pretty much echo mine on traditional publishing vs self-publishing, and also on physical book vs e-book. Sometimes it’s nice to know your own thoughts aren’t so far off the mark. I remember reading only traditionally published books, until I was asked to review a self-published book. That opened up a whole new and wonderful array of authors and books that publishing house books cannot fully compete. As to the type of book I read, I still love my physical book, but there is nothing so wonderful as being able to take a library full of books wherever I go. All in all, these were terrific interview questions followed by interesting and well-thought out answers. Thank you so much. It’s nice yo know we’re not alone. Thanks Michelle, I do love these questions, not sure what I will do when I have to change it in November – best get my thinking cap on! The ebook vs. physical book is a toughy for me too. I love my real books, but like you say, the ability to carry an entire library wherever I go has become too much of a temptation. I used to worry about how many books I could pack for holiday not how many pairs of pants! I’ve been known to take 14 books and have to leave them or swap them because Id read them all on a holiday – the weight of my suitcases used to be ridiculous! I am now hooked on my kindle. That being said – any book I read and adore, I now buy in hard copy too. Thanks for a lovely comment.